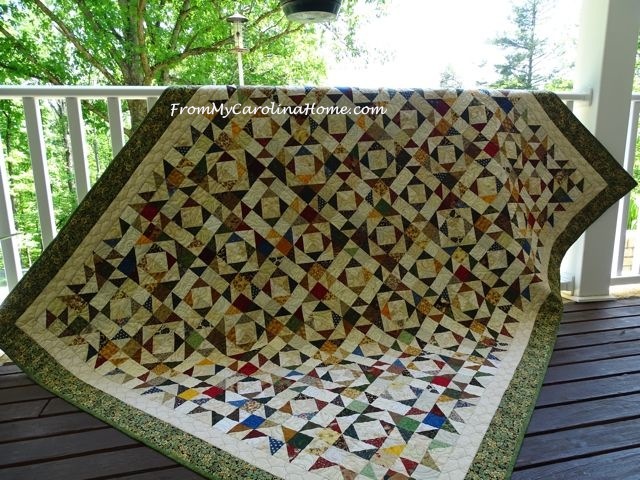 This is Day 11 of my Christmas in July event. If you are just now finding me, scroll back to the previous pages for great ideas to kick start your creativity! Although the drawings are over for this event, there will be another event for Autum, coming up in a couple of months with giveaways planned. Today I want to talk about Gifts from your kitchen. Some of the best gifts around are the ones that come from the heart and hands of the giver. 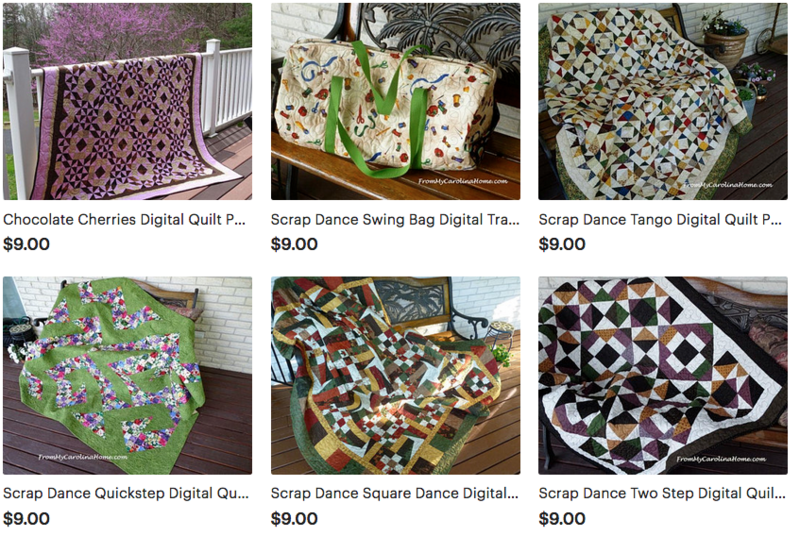 I love to give gifts from my kitchen both mixes and fully made items. Packaging these mixes and treats is part of the fun, so now is the time to hunt down some interesting containers. Filled with a mix for something irresistible to your recipient, these are the gifts everyone wants. 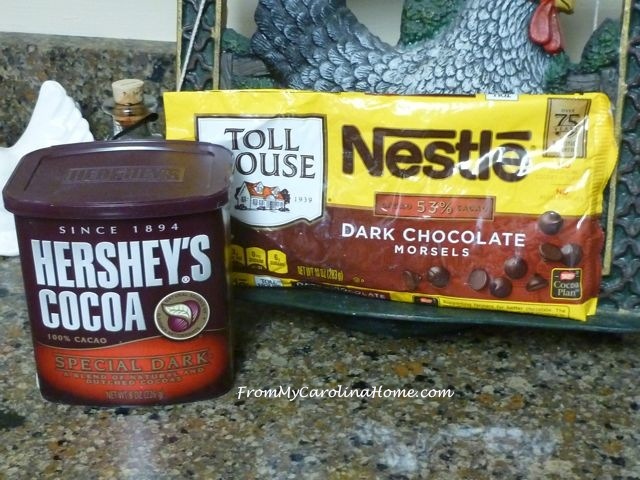 Today, I’ll give you some ideas on mixes to please the chocolate lover and a few others on your list. For that chocolate lover, start looking in your grocery store for Special Dark or Dutch Process cocoa, it is smoother than the regular and gives baked goods a darker, richer appearance and flavor. Not every grocery store has it, so look around and get plenty before the holidays. 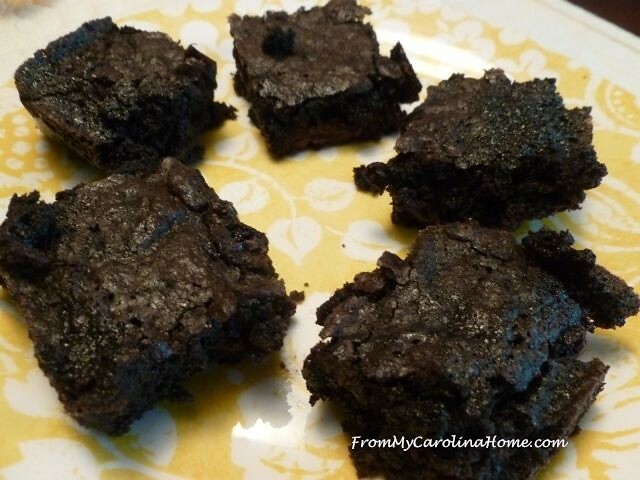 You’ll also need dark chocolate chips for my special Double Dutch Brownies. If you just don’t like dark chocolate, you can make these with regular cocoa and semi-sweet chocolate chips. You can make up these mixes weeks in advance, so you are done early. 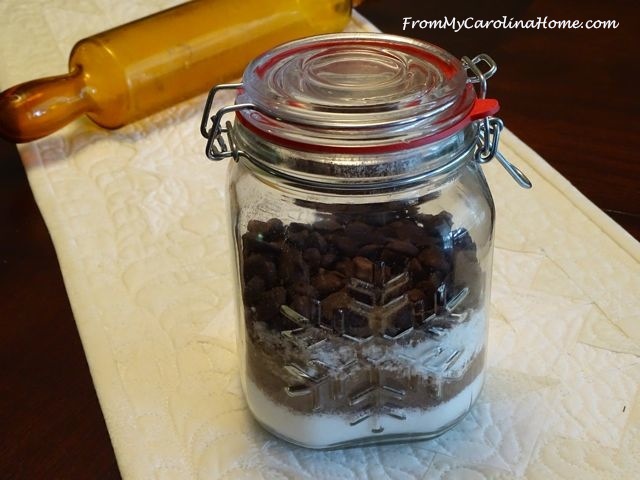 Layer the ingredients in a pretty jar, and give with the instructions provided. I like these containers that have the clamps to hold the tops on. This one has a lovely snowflake on the side. Look in the clearance section of your stores and at discount stores like Tuesday Morning, Marshalls, Ross, TJMaxx, or Big Lots for these now, or scour the thrift shops. Of course I had to make sure that the recipe was good, so I made it up again. Any excuse for brownies, right? 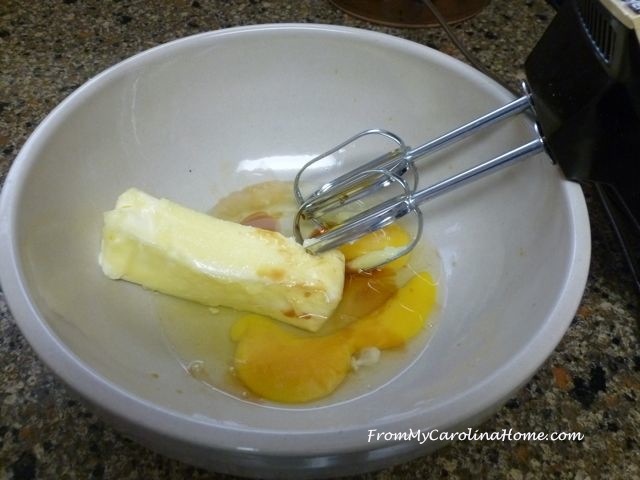 So, your gift recipient will just soften some butter, and whip it with 2 eggs and vanilla. and stir gently until incorporated. 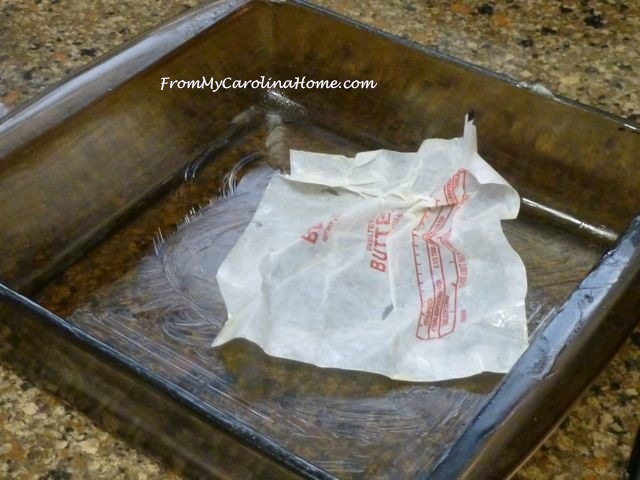 Butter the baking pan with the inside of the butter wrapper, or use no stick spray. Let them cool completely in the pan, then cut into 16 squares. Did you know that if you cut brownies with a plastic knife they won’t break apart as much? I just learned that (after these were done) and it is really true. The downside is you don’t have little bits that break off that need cleaning up to nibble on, LOL!! YUMMMMMMM, moist and deliciously dark, chocolatey and good! 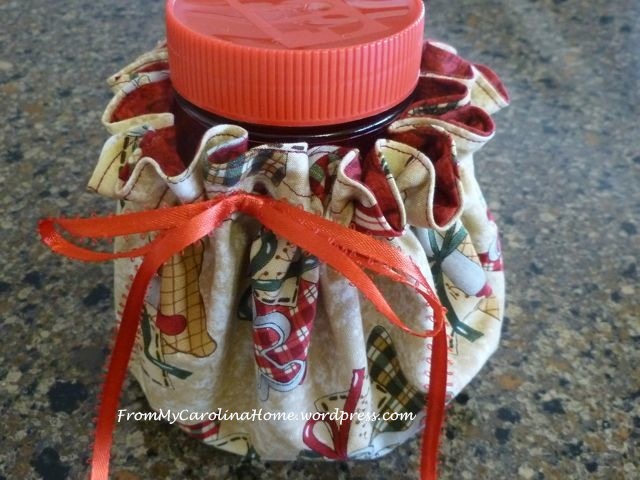 If you are using a simple jar, add a wrapper to the jar for presentation. This one will fit most jars and is great for candles too. Find those instructions HERE. If your mix is pretty, like bean soup or the brownies, let the mix show nicely and just add a ribbon. 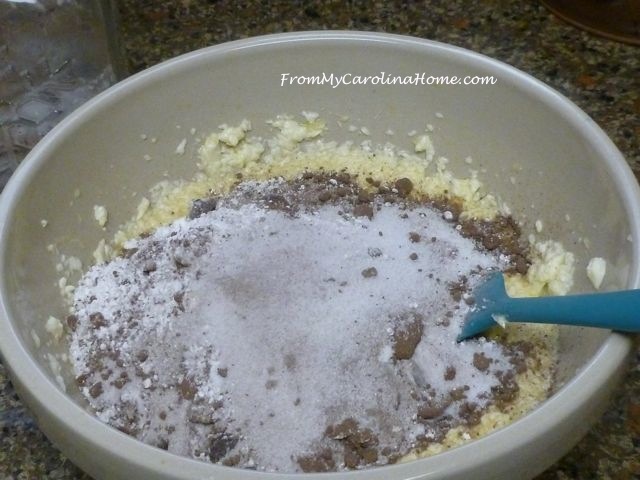 Cream 1/2 cup softened butter, two eggs and 1/2 teaspoon vanilla with a mixer until light and fluffy. 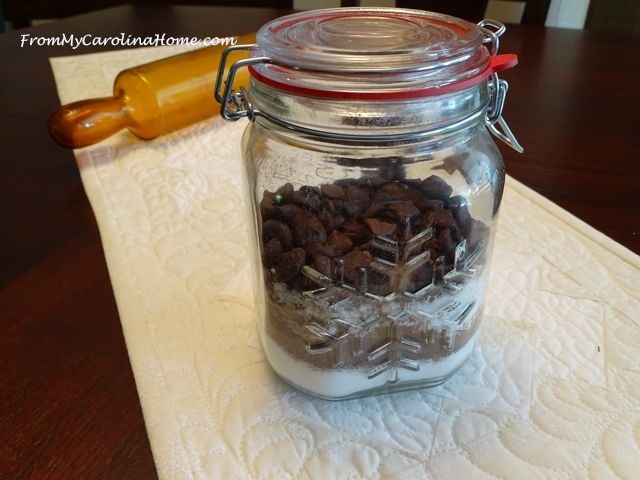 Stir in entire jar of mix. 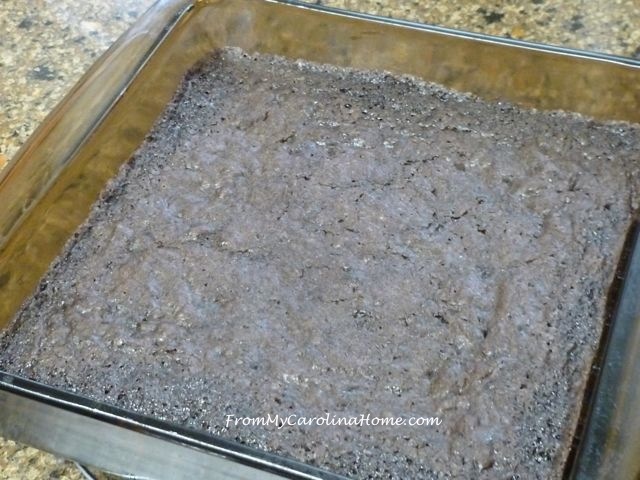 Pour into a prepared 8×8 inch square baking dish. Bake at 350 degrees for 25-30 minutes. Let cool in the pan. Serve and enjoy! Update – PDF of the recipe with printable labels for your gifts! 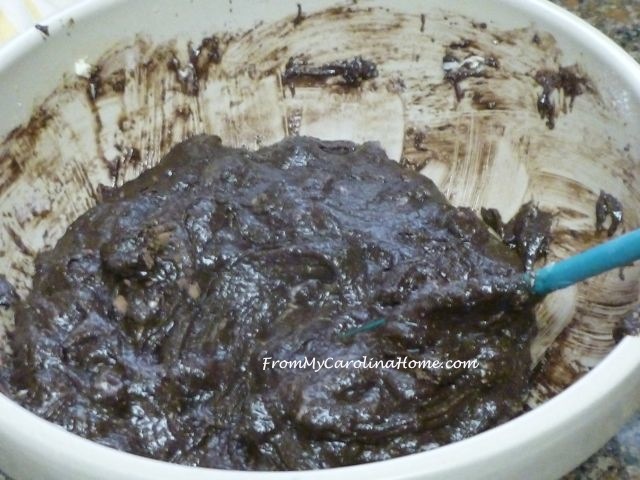 Double Dutch Brownie Mix. Later this year, when it gets close to the holidays, I’ll post the wonderful biscotti that I love to give. For those who enjoy giving homemade baked goods, try my Cinnamon Banana Coffee Cake, and give in a festive bag to make the gift special. You could also try my Carmel Apple Coffee Cake, Orange Vanilla Bean Coffee Cake or Fresh Peach Coffee Cake. Cranberry Cinnamon Scones make a wonderful afternoon tea with Carole’s Creamy Scone Spread or a nice addition to serve with Perfect Breakfast Eggs. One of my favorite home-baked breads to give is Pumpkin Orange Bread. 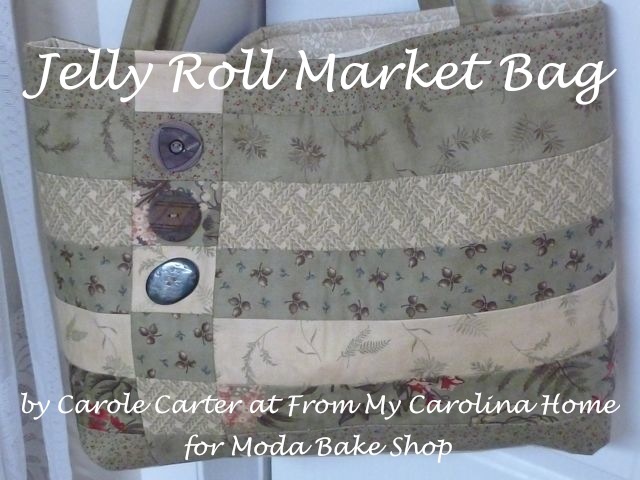 For baked breads and candy, I have specialty bags and boxes to use for presentation. Some are personalized, the bags laying in front were purchased at a dollar store, and the festive motifs look wonderful with a bow. I have these boxes in two sizes for candy. I purchased a several dozen several years ago and I still have a few left. 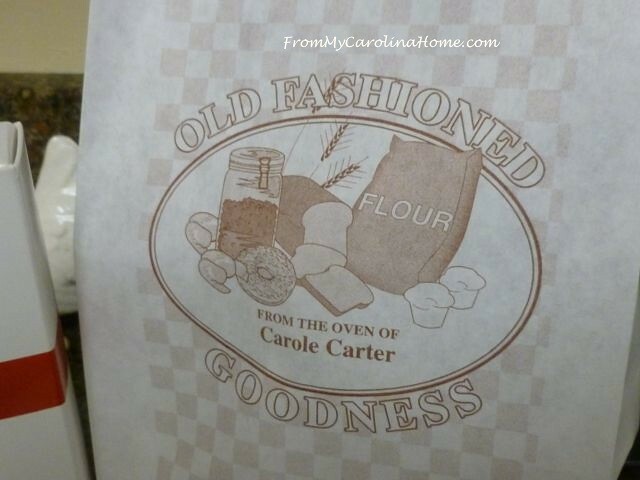 They say “From Carole’s Christmas Kitchen” on the front. I ordered them online, but sadly I cannot find them now. 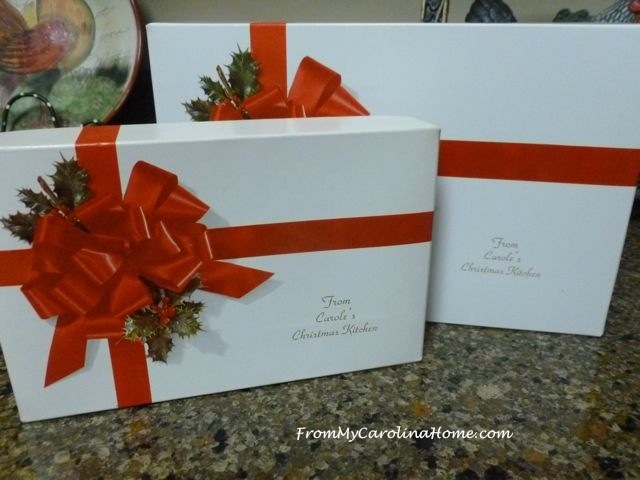 Christmas cookies go over well in these boxes too. I just line them with wax paper using a sheet large enough to fold over the top of the food. The paper bags are wax coated on the outside, and are suitable anytime for home baked goodness. More recipes for breads and great baked gift items will come closer to the holidays. Have you given gifts from your kitchen? What is your go-to gift from your kitchen? Thank you for the mix ideas, I need to start a book of ideas! I’m still a pen and tablet gal even with all the technology, I still have to write it. Thanks for the brownie recipe and look forward to your pumpkin bread recipe in the fall! Happy Sunday!! Thank you, I give these kind of gifts and need some new ones. Thank you! 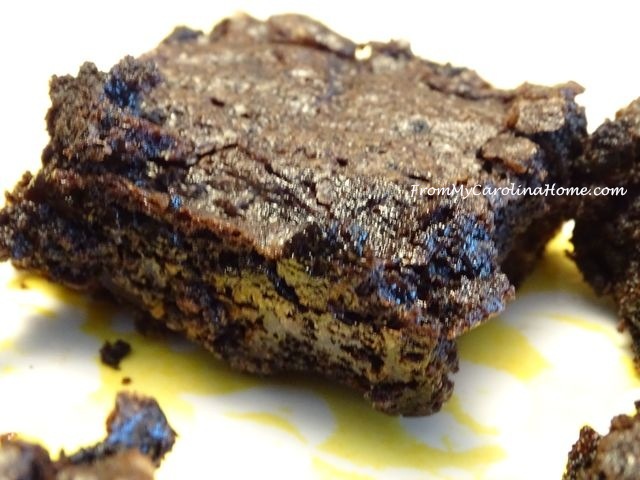 Thank you for this wonderful brownie recipe – from a chocoholic – and the tip on using a plastic knife! 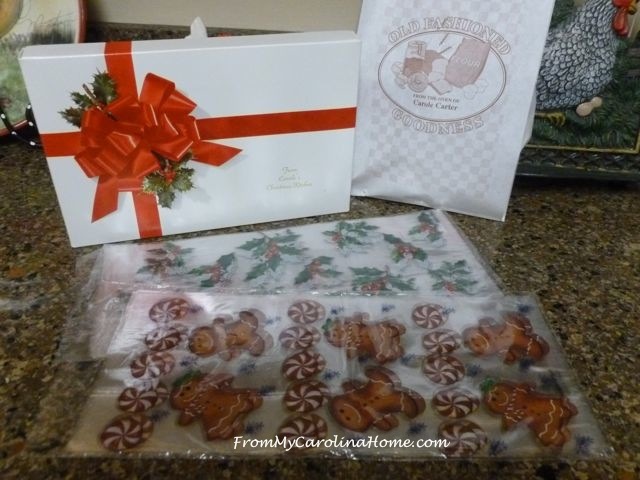 Peanut brittle & fudge are my go-to gift giving. Easy & quick -goes a long way – and is always appreciated. 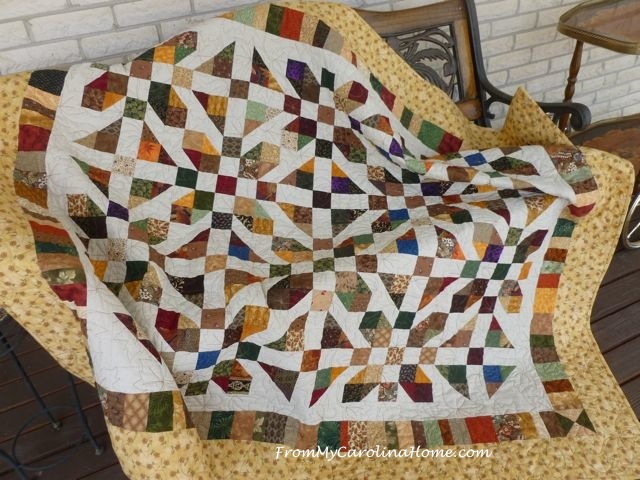 I love, love, love the fabric cover! Great post, love the ideas. Thanks. Zucchini bread: Christmas in july, August & September! I give out jelly ( peach,strawberry,New this year chokecherry) , bowl potholders and Christmas cookies in thrift store tins. Thank you for the 12 days ,all the ideas and encouragement to get started on Dec. gifts. Its been years since I have made any goodies as gifts. When I was working, I would make divinity, rocky road fudge,peanut brittle , Almond Roca,, buckeye balls and rarely cookies as I don’t like to bake. I cant wait for your pumpkin recipes. Good Morning Carole! 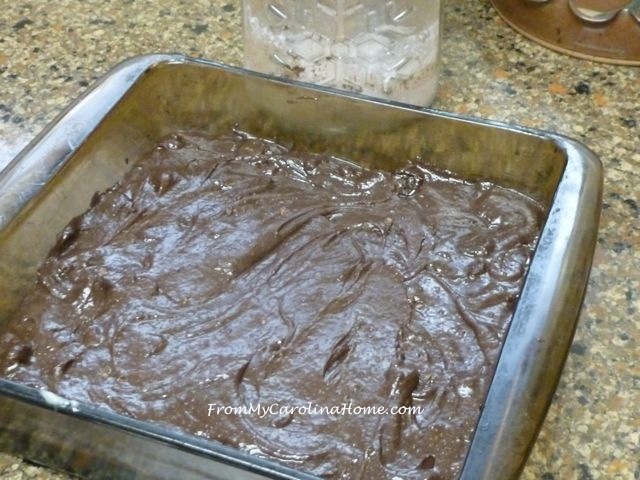 Your Brownie recipe looks delicious; I would be making it right now except I do not have all of the ingredients that I need. Bummer!! Hubby and I will be going into town later on though so I will be grabbing the missing ingredients at the store and making them when we get home. Yes, we do give baked goods as holiday gifts and we also give away items that we have canned like zucchini relish and apple butter. They are a big hit with family and friends. Another great gift is our homemade from scratch pumpkin pie, pumpkin muffins and pumpkin bread we also make Rhubarb recipes, my family loves our Rhubarb/Strawberry Pie recipe. 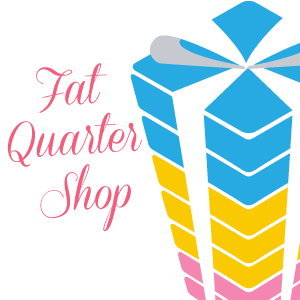 Thank you for sharing the recipes and ideas for gift giving recipes. I think that is a great way to spread love and cheer! Have a fantastic creative day! 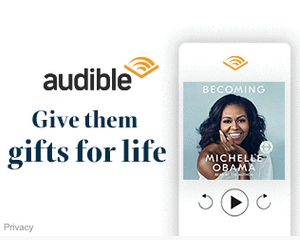 Fun gift ideas. Can’t wait to see your biscotti recipe. Love this post! I thought I was the only one who still used the butter wrapper to grease a pan! Yay, there are two of us. LOL My mother and grandmother always did that, so I do, too. I’ve given hot chocolate mix, fudge, apple butter, cookie mix, jelly and jam, and syrup. Last year someone gave me a great mix with popcorn, pretzels and chocolate. I should get her recipe … but then maybe she wouldn’t give me another jar! =) I look forward to your mix recipes. Thanks for this one. 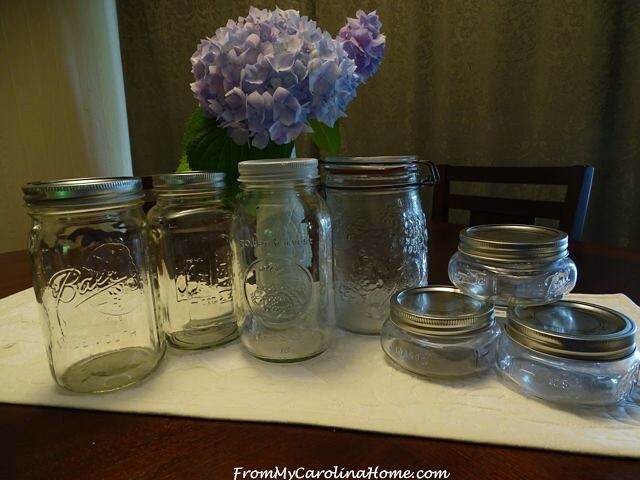 I’ve made some great soup jars, too, with recipes from ThriveLife. Lasagna soup is a big hit. It probably costs me $7-8 for a quart jar, but that’s not a really expensive gift. I’ve gotten some cute tags and labels from The Graphics Fairy, too. We give gifts from the kitchen all year round but especially at Christmas. I haven’t tried the Brownie mix in a jar though. Thanks for the recipes and the hints about getting our packaging ready ahead of time. 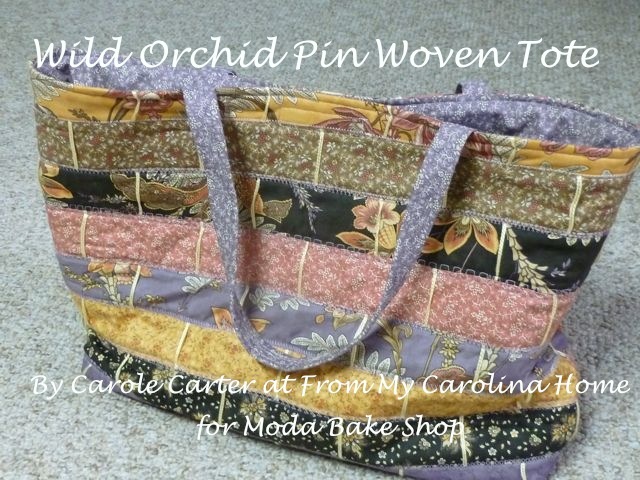 I love to give gifts from the kitchen Carole, these are great ideas!